A luxurious choice for a dining chair, the Bacco design from the Daytona furniture range will bring a sense of Italian glamour to your home interior. The strong, curved plywood structure is covered with soft goose down with carefully crafted air pockets to provide ultimate comfort. The leather exterior features a refined and elegant quilted finish with fabric buttons and Daytona logo. 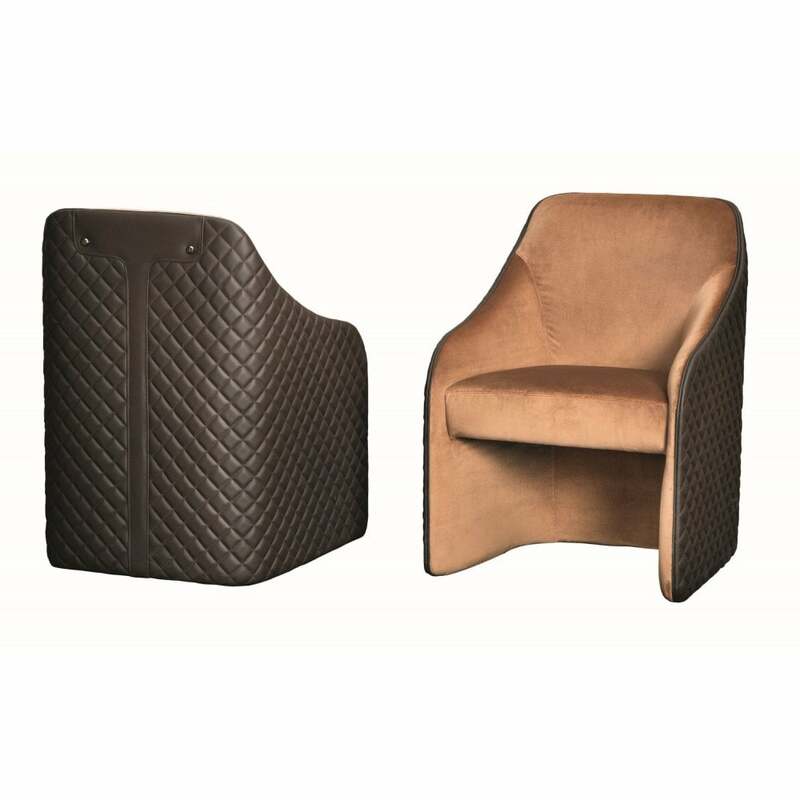 The seat and backrest are available in a variety of suedes, velvets and leathers to create a bespoke look to suit your interior requirements. Hand-made in Italy, the Bacco Dining Chair works beautifully with the Bolton Dining Table. A covetable piece for any design lover, inject art deco sophistication into your scheme. Make an enquiry for more information.